The widespread concept of the 'postmodern city' is frequently linked to the decline of traditional manufacturing industries and a corresponding wane of white working-class culture. In place of these appear flexible working practices, a diversified workforce, and a greater emphasis on consumption, leisure, and tourism. 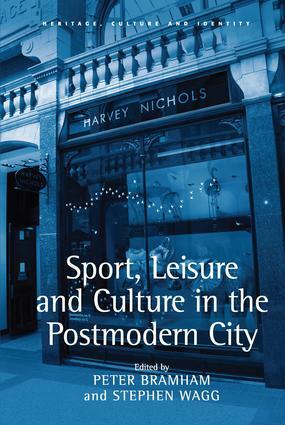 Illustrated by an interdisciplinary study of Leeds, a typical postmodern city, this volume examines how such cities have reinvented themselves - commercially, politically and spatially - over the past two decades. The work addresses issues like cultural policy, city-centre development, sport, leisure and identity, and explores different urban processes in relation to changing configuration of class, gender and ethnicity in the postmodern city. This series explores all notions of heritage - including social and cultural heritage, the meanings of place and identity, multiculturalism, management and planning, tourism, conservation, and the built environment - at all scales from the global to the local. Although primarily geographical in orientation, it is open to other disciplines such as anthropology, history, cultural studies, planning, tourism, architecture/conservation, and local governance and cultural economics.